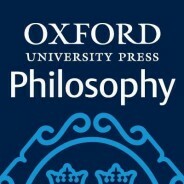 2018 has been another significant year for the philosophy world and, as it draws to a close, the OUP Philosophy team reflects on what has happened in the field. We’ve compiled a selection of key events, awards, and anniversaries, from the bicentenary of the birth of Karl Marx to Martha Nussbaum winning the Berggruen Prize and the death of the philosopher Mary Midgley. Take a look through our interactive timeline. Which key events would you add to our timeline of philosophy in 2018? Let us know in the comments. Featured image credit: The Thinker Rodin Museum by Maklay62. CC0 via Pixabay. Panumas King is a marketing executive for Philosophy. I find it rich that you give Marx credit for “exposing the exploitative system of capitalism.” Don’t you think “argued” or “claimed” or some other modifier might have been warranted? You seem to anoint him for what many consider erroneous opinions, while ignoring the FACT that these opinions eventually were used to kill millions. Rodin’s Thinker is posed on the gates of Hell contemplating what got him there. Hopefully the year wasn’t that bad.